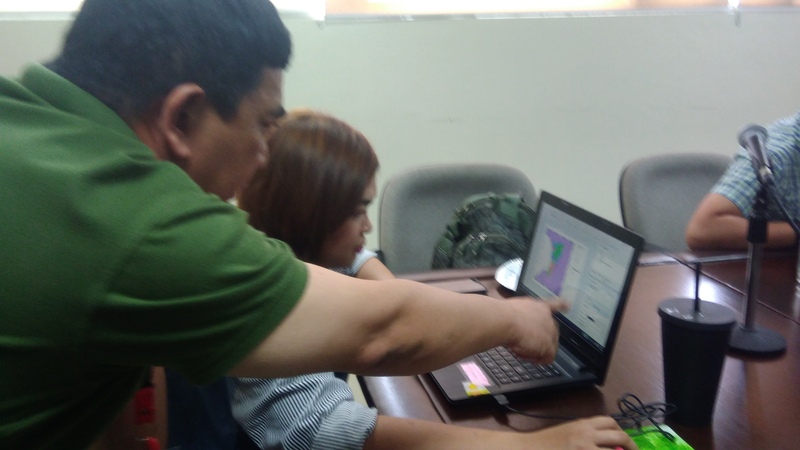 The Presidential Management Staff (PMS), the primary government agency responsible for providing technical assistance and advice to the Philippine President on the overall management of the development process, tapped the services of NAMRIA for the conduct of a training program on Geographic Information System (GIS). 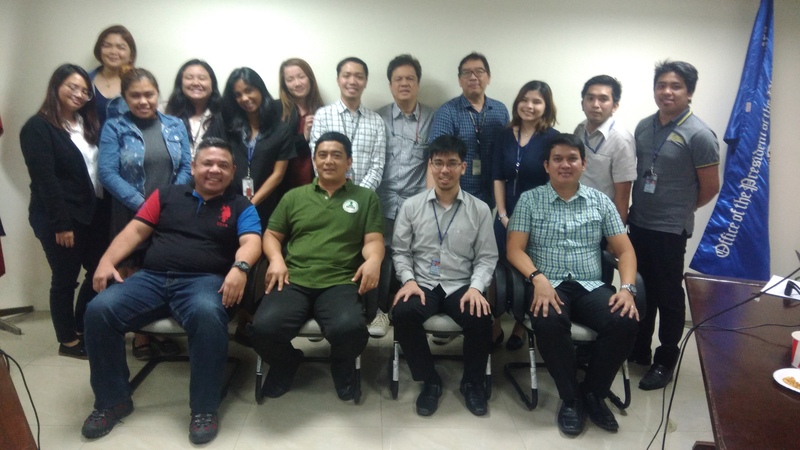 The NAMRIA Geomatics Training Center (GTC) under the Geospatial Information System Management Branch (GISMB) conducted the 40-hour training program on Basic GIS in the temporary office of the PMS at AAP Tower in Aurora Boulevard, New Manila, Quezon City on 26-29 November 2018. The 25 participants were from the different offices of the PMS. (seated from left to right) composed of this writer, Mr. Laurio, and Mr. Perez. The acquired skills of the PMS on GIS will serve as an integral part of the agency’s decision-making process, program/project monitoring and evaluation, and risks and suitability analysis through maps in support of its programs. The PMS handles a lot of maps in shapefile format and other geospatial-based information and GIS will serve as an important tool in its day-to-day performance of functions, such as during presidential and cabinet meetings and briefings. One of the participants does actual hands-on applicationwith the assistance of Mr. Laurio. Mr. Alvin F. Laurio and this writer, both of the NAMRIA GTC, served as GIS resource person and facilitator, respectively. Mr. Melvin O. Perez of the Geospatial System Development Division-GISMB presented the Philippine Geospatial System (PGS). He discussed the geospatial data provided by different agencies that are uploaded into the system, along with the features and functionalities of the PGS that the PMS can readily utilize to address their geospatial data needs.